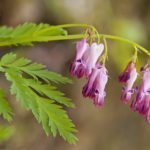 Old-fashioned favorites, bleeding hearts, Dicentra spectabilis, appear in the early spring, popping up alongside early blooming bulbs. Known for their lovely heart-shaped blooms, the most common color of which is pink, they may also be pink and white, red, or solid white. On occasion, the gardener may find, for example, that a previously pink bleeding heart flower is changing color. Is that possible? Do bleeding heart flowers change color and, if so, why? Do Bleeding Hearts Change Color? 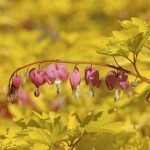 An herbaceous perennial, bleeding hearts pop up early in the spring and then being rather ephemeral, die fairly quickly back until the following year. Generally speaking, they will bloom again the same color they did the successive year, but not always because, yes, bleeding hearts can change color. Why are Bleeding Heart Flowers Changing Color? There are a few reasons for a bleeding heart color change. Just to get it out of the way, the first reason may be, are you sure you planted a pink bleeding heart? If the plant is blooming for the first time, it is possible that it has been mislabeled or if you received it from a friend, he or she may have thought it was pink but it’s white instead. Okay, now that the obvious is out of the way, what are some other reasons for a bleeding heart color change? Well, if the plant has been allowed to reproduce via seed, the cause may be a rare mutation or it may be due to a recessive gene that has been suppressed for generations and is now being expressed. The latter is less likely while the more probable cause is that the plants that grew from the seeds of the parent did not grow true to the parent plant. This is a fairly common occurrence, especially amongst hybrids, and happens throughout nature in both plants and animals. There may, indeed, be a recessive gene being expressed which is generating an interesting new trait, bleeding heart flowers changing color. Lastly, although this is just a thought, there is a possibility that the bleeding heart is changing bloom color due to the soil pH. This might be possible if the bleeding heart has been moved to a different location in the garden. 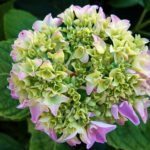 Sensitivity to pH with regards to color variation is common amongst hydrangeas; perhaps bleeding hearts have a similar proclivity. Read more articles about Bleeding Heart.